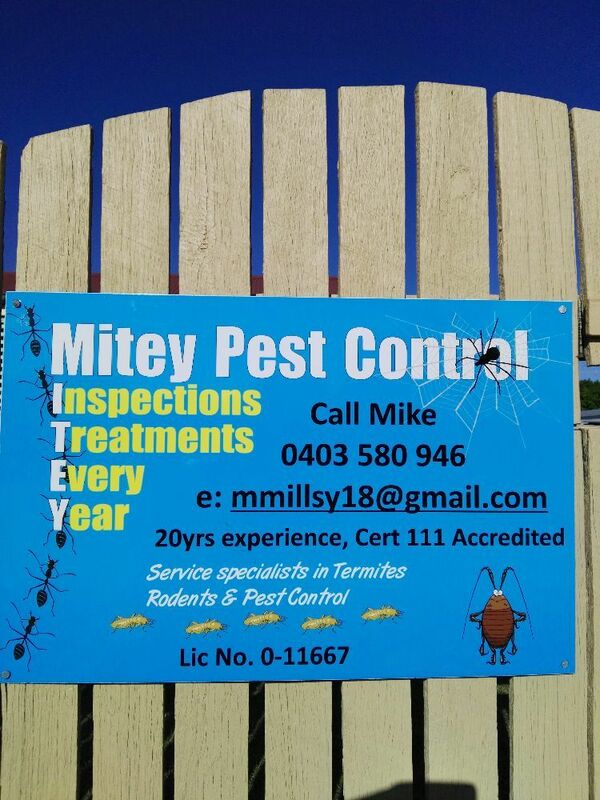 Mike Mills from Mitey Pest Services , has a client base throughout the Sunshine Coast region and surrounding towns and regions through to Northern Brisbane Suburbs, and is more concerned about Customer Service , great value , safe application of pesticides and the right advice , and Termite Inspections to a very high Standard . If you need help with a pest problem , call now to discuss options. Specialist Termite Inspector with 20 years of onsite experience. General Pest Control Technician . Rodents Rats and Mice eradication Programs. Michael has worked with and for the leading Pest Control Companies as a senior technician , Trainer and Sub contractor. Michael did my mothers home and she was very please with his friendly and professional service and reasonable price. I will be booking Michael for my home also soon. Job Description: We have just moved into a property and require a general house spray to keep the spiders, ants, roaches etc out. Garth hired Mitey Pest Control Services for their Pest Control job. Patrick hired Mitey Pest Control Services for their Pest Control job. Job Description: We are after a general pest and termite inspection. The house size is closer to the 250sq mtr size. Mike from Mitey Pest Control was great to deal with. He arrived on time, was thorough and we were pleased with his professionalism. We would highly recommend Mike. Darryl hired Mitey Pest Control Services for their Pest Control job. Friendly, punctual, amazing attention to detail and very effective job done. Thanks! Shae hired Mitey Pest Control Services for their Pest Control job. 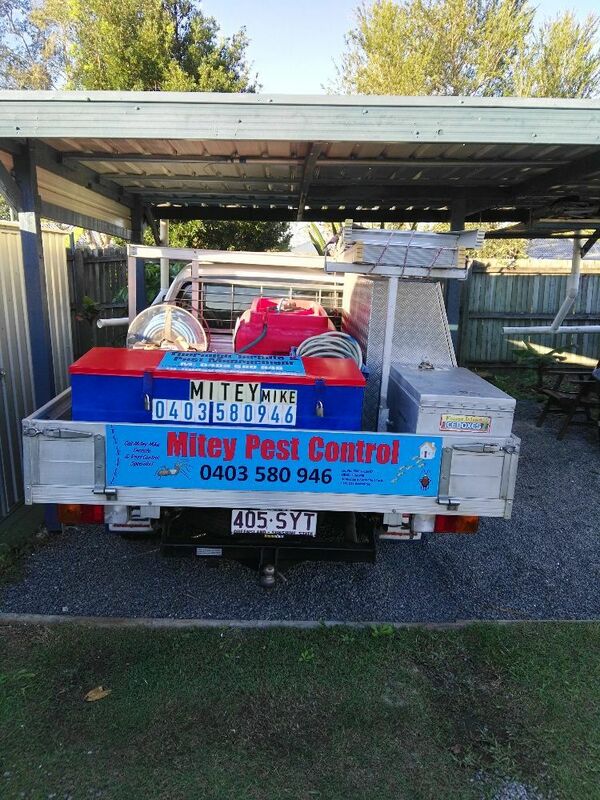 Kaye hired Mitey Pest Control Services for their Pest Control job. Kristie hired Mitey Pest Control Services for their Pest Control job. Thanks Kristie , will follow up in 2 weeks. Job Description: I have found termite trails in the fence pailings and posts on both side of the house. Rodney hired Mitey Pest Control Services for their Pest Control job. 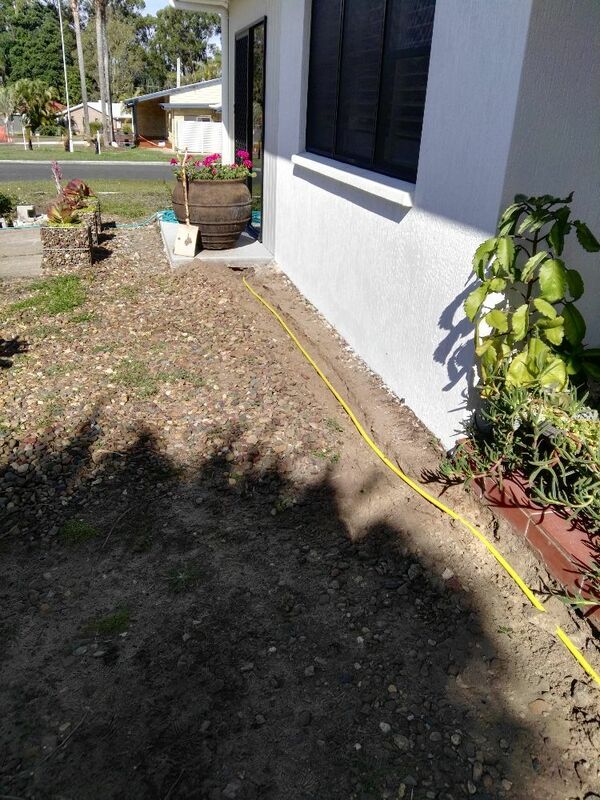 Mike was flexible with his time, happy to do that bit extra by picking up and dropping off keys to access my property, friendly, and the price was very competitive. Happy to recommend his service and I'll use him again in the future. Mike was extremely thorough with his pest control both in and outside of my house. He came across as being very knowledgeable about pests and in particular the ant problem that I've had for months. Very helpful and friendly. Thanks heaps Mike. Daree hired Mitey Pest Control Services for their Pest Control job. Thanks Daree , Hope you enjoy your new home. Fiona hired Mitey Pest Control Services for their Pest Control job. Debra hired Mitey Pest Control Services for their Pest Control job. 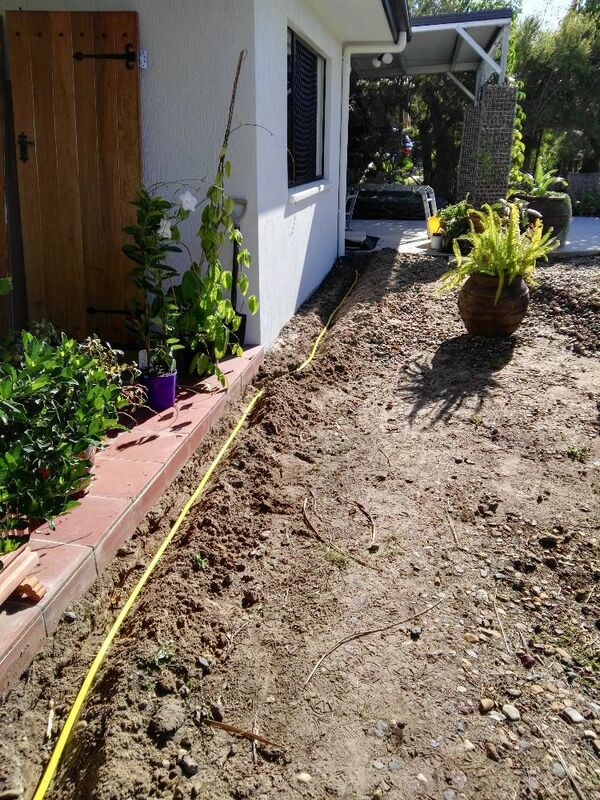 Julian hired Mitey Pest Control Services for their Pest Control job. Very friendly service and very thorough job. Can highly recommend. Best quote I received, fast and easy to book in with. 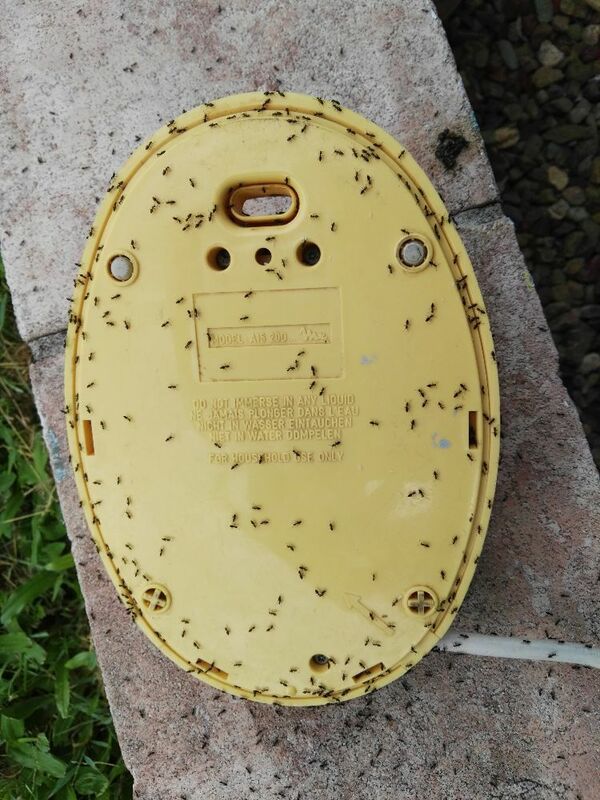 Job Description: Home under roof is 175sq Land block is 360sq Standard pest control, roof cavity, ants / spiders / cockroaches / mice No specific problems or issues, other than ants in areas around perimeter and side of house / near front door. Job Description: Updated 13 Feb 2019 at 10:26am: Just need general pest control inside and out for ants, cockroaches and spiders. Job Description: Fleas throughout the house, old country house and off the ground, so will need underneath done too, for bond clean. Job Description: general pest control inside and outside. 2 story house in 450 Square meter block of land. Job Description: Cockroaches are our biggest problem atm but we'd also like treatment for spiders, ants and rodents (no rodents atm that we know of). We have two cats so we'd need pet-friendly pest control. Job Description: I require an assessment for termites in my house and if required discuss the option of a termite barrier for the house. House is 1990's build on a slab. Have seen termites in dead trees in the yard. Last assessment of the house in May last year was clear. Job Description: Hi, Im just after usual pest control. Ants are being found inside. Job Description: Particularly keen to eradicate cockroaches and fruit flies inside. Spiders outside. Job Description: Pensioner who has grandchildren visiting ( one is crawling and only 10 mths old). Previous house sitters had a dog in our house and we now have fleas in our home. Need urgent and safe treatment to eradicate the fleas as the children are being bitten. Job Description: I constantly have dead ants on my tile floors. I believe they are called carpenter ants. I need them removed and not come back. Updated 26 Jun 2018 at 01:19pm: Thank you. Job Description: Rats have been seen entering the kitchen during lights on evening. Using the house as a playpen throughout the night. As heavy as elephants with clogs on. I'm over the playfulness of these uninvited guests. Job Description: 1 bedroom studio flat. Unoccupied and happy for holes to be create in gyprock for spray treatments etc. No plans in next 12 months for property to be occupied/accessed if it assists in treatments used. We have been using Mike for years. Would highly recommend. Punctual, honest ,service specialist, over 20 years experience Inspecting and Preventing Termite Attack and General Pest Control. And Rodents Rats and Mice. 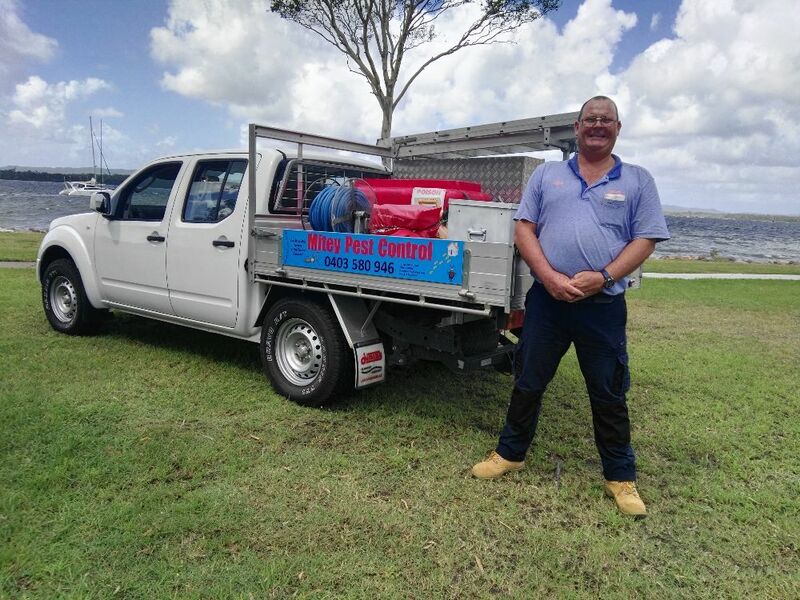 pmt 0-11667 Qld License 1260946 QBCC Trade Contractor Homeguard Pre Construction pmt0-1167 Cert 111 Accredited Insured through Pacific International Public Liability and Professional Indemnity. Aus-17-9968. Termite Inspections. Treatments. Prevention. Pest Control. Rat and Mice Control Programs. Commercial and Residential Pest Control. Best Practice Procedures and Client Advice and Service. Usually Charged by size and time and chemical required. Number of Bedrooms, number of roof voids, Distance required to travel etc . 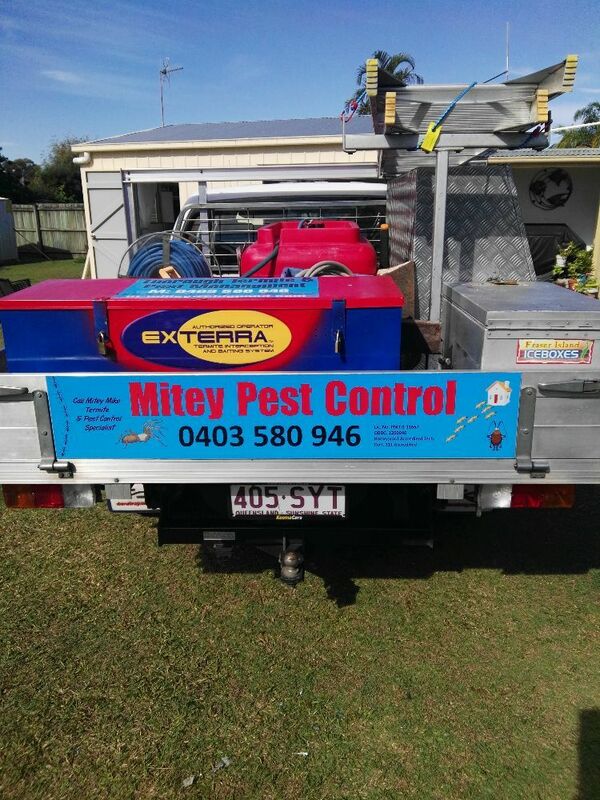 Mitey Pest Services is a Sole trader Company, you speak to the owner and get all the information you require in relation to Pest Control Job Required. Loyalty Rewards, Discounts for job referrals, Package Deals associated to Inspections, Rat check or Bonus Roof Dust. Free wasp nest spray if already on site doing paid work . Please clear base of walls to reveal skirtings. Areas under manholes to roof void to be accessible. Kids and Pets to be taken out during service for safety. Type, age, and size of house. Area of concern . What sort of Insect do they want eradicated. How long has it been since last inspection and by whom. I am insured for Public Liability and Have Professional Indemnity Insurance. A Twelve Month internal pest control warranty applies after treatment and a 8 year Termite Warranty applies if treated with Termidor, Full Perimeter Chemical barrier. On site Experience , over 20 years of working for all the largest companies in the pest control industry. I have seen what can happen when the job requirements have not been met by other people in the trade. I have trained people for companies and know what needs to be done. How do I stop Gecko's entering internals of homes. Fill the gaps around air con motors service pipes. check screens , don't leave outside lights on at night, will attract food sources. Are they Licensed and experienced in this field? What sort of price or deal is available.? When are you available to come over and supply a free quotation after assessing situation? After 20 years of servicing clients I can never forget meeting Monty the Python The snake was enormous and lived in the Roof Space of a Acreage property. I heard a sliver behind the foil wall lining in the roof , then saw the snake departing through a hole in wall 4-5 metres away. It was huge. 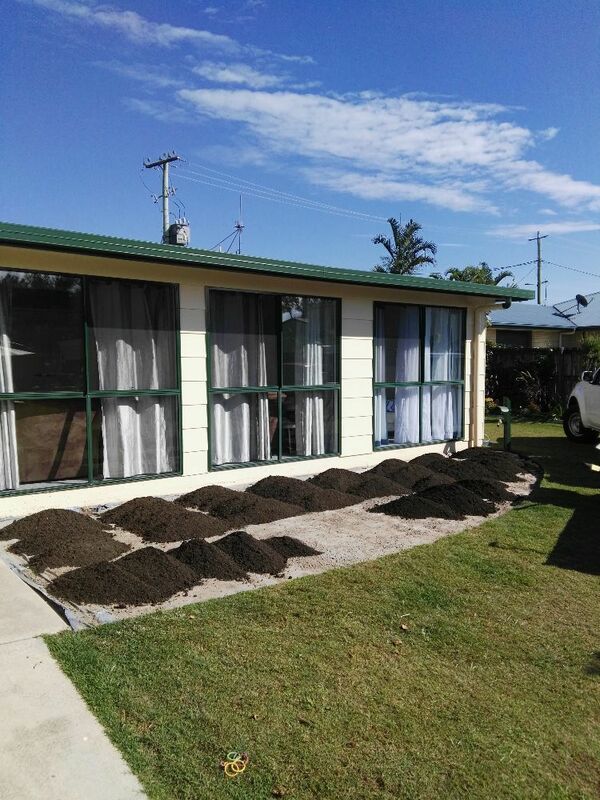 There are alot of insects throughout Queensland, causing alot of damage to peoples homes. Wherever I have travelled people always tell me there horror stories in relation to houses being damaged. After 20 years of Inspecting peoples homes and businesses I have learned that wherever there is food and shelter, crawling Insects will be hiding and waiting for the darker and quieter moments to eat your stored food products. Crumbs , scraps, spilt honey , sugar are major attractants.